Art & Frame of Sarasota: We Carry SkinSafer Barrier Cream! Protect Yourself & The Environment! 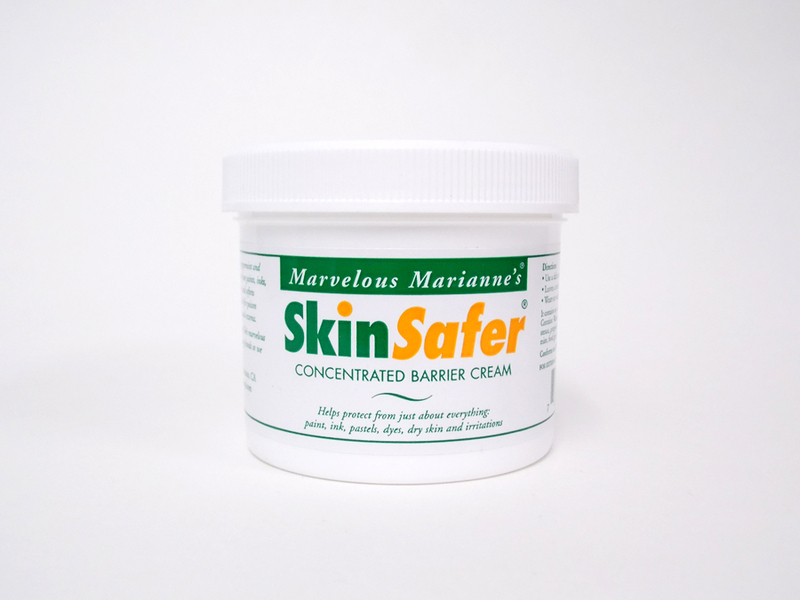 Marvelous Marianne's SkinSafer Concentrated Barrier Cream is made with 90% green, biobased ingredients. It is greaseless and smells like cool peppermint. The cream protects skin from paints, inks, pastels, hair tints, harsh weather, and softens elbows and feet. It even works as an anti-itch cream for poison ivy, chicken pox, jock itch, and eczema. To use: Rub a small dab onto hands (like washing hands), the cream leaves a matte coating. When it wears or washes off, simply reapply! Find SkinSafer Barrier Cream here!